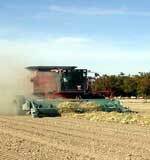 At Horner Farms, our dry-bean operation has quickly become one of our specialties. We are proud that we meet or exceed quality standards when it comes to growing, harvesting and then cleaning our product. 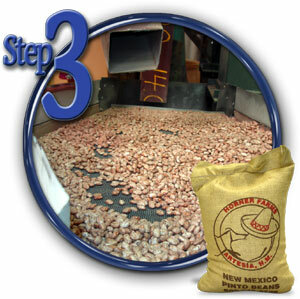 Our pinto beans pass through a 'three-step' cleaning process before they are packaged for shipping. 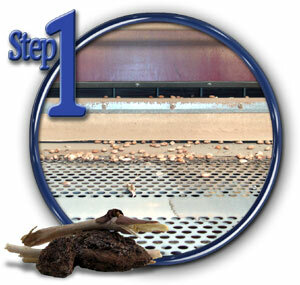 The beans are run over shaking screens that have specific hole sizes for the beans to pass through or over. These shaking screens are on a slight slant. Product that is too large or too small or fails to make specific size standards is channeled into a cull box. This is where any foreign objects (sticks, dirt, rocks) that happen to get picked up while harvesting the beans are also removed. The now-sized product is conveyed to a gravity table. The tables have "gates" on the higher side to cull stones and extra dense foreign material. These tables also are set at a slight angle with a rocking motion. Air is forced through small holes on the tabletops. Heavy (dense) product works its way to the high side of the table while the lighter product moves to the low side and is culled. The product from the high side is more closely separated by a small "stone table." The mid-sized product is conveyed to an elevator and the next step in the process. Good product from the stone table is blended back with the middle-gravity product. 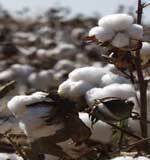 The culled product, made up mostly of rocks and dirt, is disposed of. 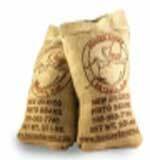 The beans next enter a final shaking screen to remove what little is left of unnecessary particles. 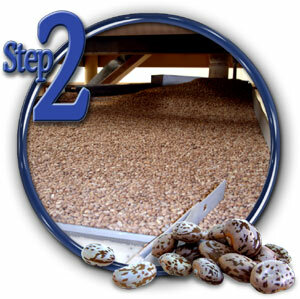 The product that makes it to the end of the screen is then elevated and conveyed to the bulk hopper ready to be bagged.